Namibia is not only the least densily populated country of the world, it is also one of the driest. The clear desert air is perfect for shooting stars and star trails, so that's one of the things we always try on each year's Namibia workshop. I had planned the trip to coincide with new moon, so that we would have pitch dark nights with lots of stars. 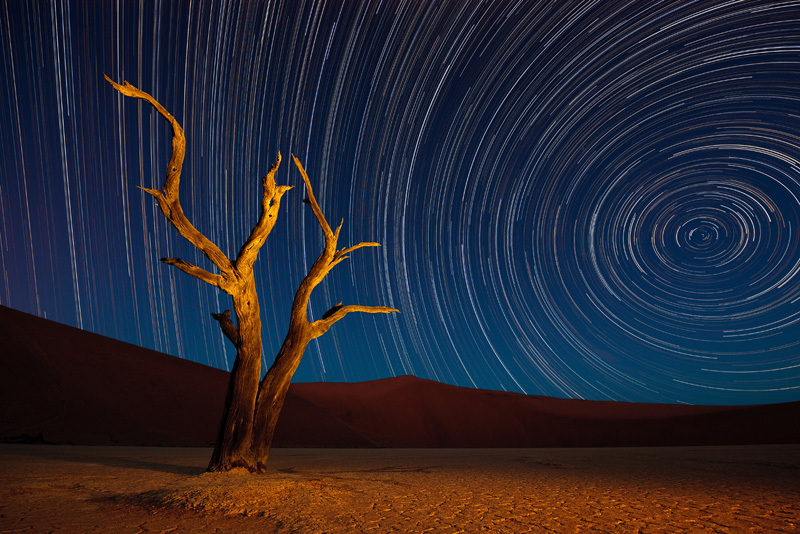 For this shot of a dead camelthorn tree in Deadvlei, the camera took little over 80 shots. The first image was light painted to make the tree stand out more.